Eric and Apple got married today. Just got back from their wedding in Portman Riz-Carlton Hotel. Congratulations! If you are not familiar with the name Eric, MVM may be helpful – http://home.wangjianshuo.com/mvm. Obviously many girls and boys will be sad to see the handsome, and talented Eric, and the smart and decent Apple to both get married. Hangzhou is a city full of innovation in public transportation. 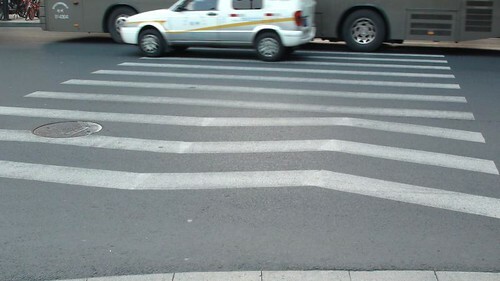 Look at what they did to traditional pedestrian in Hangzhou! They put an arrow on the right side of the pedestrian to indicate the side for people to walk. LED display board to show how far the next bus is from the bus stop. A big camp at every interaction on the bike lane so people can rest in the shade of the umbrella at the Sun, or when it is raining. We talked about the network effects of a real society many days ago. Hopefully, that explains why Chinese don’t use voice mail, calendar, or classified. We talked about it in YLF 2009 conference, and there are people who don’t agree with what I said. Then I have another great example. When I was in Chengdu, no one uses coins. They always use the paper money of 1 RMB. Everyone hates coins. Why? Not for a rational reason. It is just because when you have a 1 RMB coin, you cannot spend it. People won’t accept it, and they ask you to change it to 1 RMB paper money. Just because you cannot spend it, you don’t accept it, and because you don’t accept it, others cannot spend it. The stronger the current feedback loop is, the harder it is to break. On the contary, people in Shanghai LOVE coins. They don’t want paper money, although they unwillingly accept it. People will be surprised to get 7 coins as change to buy a 3 RMB ticket with 10 RMB note. That is the network effect. Before debating about whether coin money is better than paper money or not, we need to look at where you are going to spend it, Chengdu, or Shanghai. November 2009 is the month with most turbulance in blogging in the recent year. 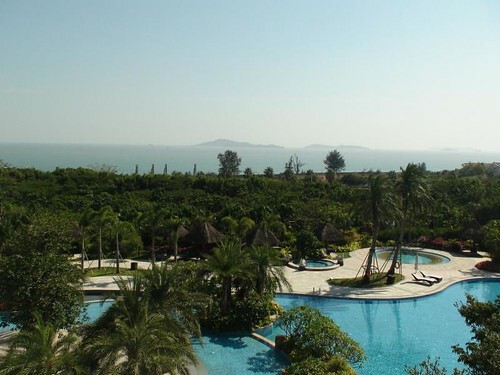 The frequent travel to Xiamen, to Chengdu made regular blogging harder than ever, and recenty, I was highly devoted in defactoring some of the code of the production environment. I found out code is really what my passion is at. I love to code any way, especially the design pattern, and defactoring. Hope I will have time to sit down at my computer to get videos, pictures of my trip out of my camera, and camcorder, and upload some of them to this blog. Please be patient for another few days. Sorry that I didn’t post it earlier. I was out of blogging to Chengdu with the team in the last few days, and just got back to Shanghai. The continuous trip made blog posting hard, especially in a relaxed, and fun city like Chengdu. We had great fun, and return to hotel after 2:00 AM. I will make up some post to tell you more about Chengdu. Let me put some photo I took during my Xiamen stay here. I do not remember how many times I went to Xiamen – this is the second time I visit Xiamen this year. 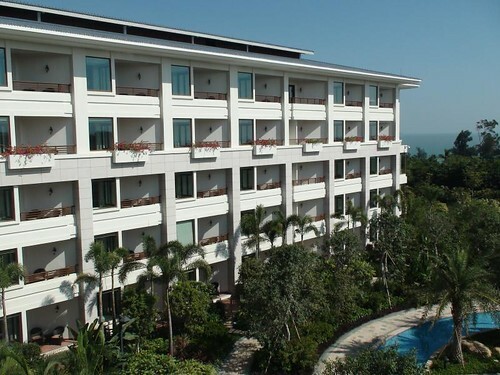 I am currently in a small hotel called Yoyou Inn (photos) on Gulangyu. We have finished the 3 day of YLF 2009 Forum in Xiamen, and the three day extension trip, and got back from Zhangzhou, Quanzhou to Xiamen. In the later 3 days, I was always on the road roaming from one city to another. Not just our American counterpart, I, myself, hasn’t been to other part of Fujian other than Xiamen an Fuzhou. Although I tried my best to avoid saying “China is blah-blah-blah” on this blog, I still make the mistake to pretend I know what China is on this blog. Obviously, the part I saw with our American YLFers is not exactly the China in my mind. I will fly back to Shanghai tomorrow, and when I settle down in Shanghai, I will try to write more about this wonderful trip. I’d like to take the time to thank Jan, Jon, June, the National Committee on US China Relationship and all participants of the conference of this year. I am so happy to spend 1/52 of my year of 2009 with the great people here this year. During the discussion at night, we started to talk about voice mail – why there is no voice mail in China. I happened to write a Chinese blog about it more than one month ago: The Network Effect of Technology Application. In that blog, I argued that Chinese don’t use voice mail because of lack of network effect. Voice mail is only useful when more people (at least more than half) will actually check their voice mail if you do leave one, or people will often check their voice mail only when you get at least one voice mail once every year! (I setup an answer machine with Wendy’s and my greeting at home, only to receive one valid voice mail during the first half year before I gave it up). The reason there is no network effect (no other people using that technology) is because voice mail emerges far ahead of mobile phone, and people in China just frog leap from no phone to mobile phone. The same situation happened to Video Recorder in VHS format – the tapes of video. Chinese directly entered VCD era – the first home video system in most Chinese families are VCD. The same for fax machine, and newspaper classified. Oh. I remember I also wrote about it in an English blog: Why People don’t Use Voice Mail in China and later, Whole Society is the Biggest Network Effect. Another thing that people don’t mention was, calendar. Do you have a Calendar briefly discussed about it, but again, it is something with some sort of network effect – calendar is only useful when everyone has one if you want to keep the exact time for meetings. Otherwise, your life will be miserable with delay of meetings, and no shows if you are the only person who are not flexible enough to move meetings randomly on that day. One of the sharpest question about Buddhism during our visit to South Putuo Temple was about the high ticket price to enter most temple in China. In my personal view, with the systematic destruction and a little bit construction of religion in China, the Buddhism temple has gone to a path to tourism location. The original meaning of quiet meditation and peace in soul have been forced to count the revenue of donations, so they build bigger houses to attract more people. The improvement of buildings in a temple certainly cannot meet the stronger religious needs from the confused people. I know our American friends were confused by the Confucius ideology and the materialism and needs for a higher moral standard in China. When asked how I feel, my quick answer is, I am confused. China has entered into a stage of conflicts. Within a short period of 30 years, the rich and the poor, the money-centric culture, and the traditional virtue, the new laws, and old conflicting laws, the materialism and the remaining internal pride not to talk about it — all these things mixed together, in a chaotic way that many people including me are quite confused, and one way out (as many people take), is don’t think about it, if you don’t to be more and more confused. I talked a lot about that confusion in my daily life on this blog in the last 7-8 years. Another note about Xiamen. It is, as I always say, an amazing city. This is maybe the third time I am in Xiamen this year. 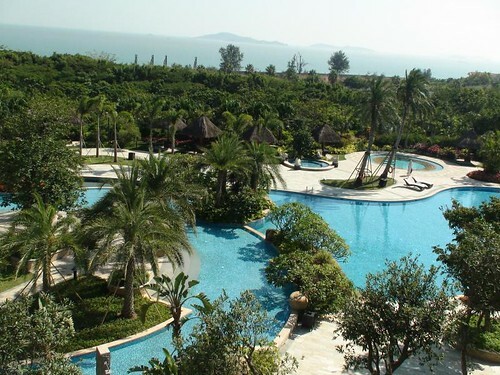 Xiamen is just 299 RMB or 1.5 hour away from Shanghai, and the airport is pretty close to the hotel area (not the downtown – the hotels with beach), and you can safely treat Xiamen as the back garden for Shanghai (although most people say Hangzhou is the back garden). I love Xiamen and I love to put my meetings in this amazing city. Day 1 of YLF 2009. Just finished the morning sessions, and the afternoon will happen in Gulang Yu (the tomorrow’s afternoon session will be in Nan Putuo Temple). The morning session was wonderful – the success and failures. My notes about the topic is, it is all about dimension, and the diversity of the standard, and acceptance for the failure. Will write about it later when we are back from the afternoon and night session. Let me post some photo of the noon view of the nice hotel room. My Spring Airlines 9C8807 to Xiamen is further delayed to 18:20. I am still at Hongqiao Airport waiting to get on board at a restaurant. Yesterday, I just read Feld’s suggestion: Pretending You are Luggage when you are traveling by air. I agree. Luggage never complain and is never in a hurry. The reception at the outdoor grassland of YLF will start soon, and this big luggage is still in Shanghai. Hmm…. Don’t complain. Drink some water, and continue to pretend I am a luggage. 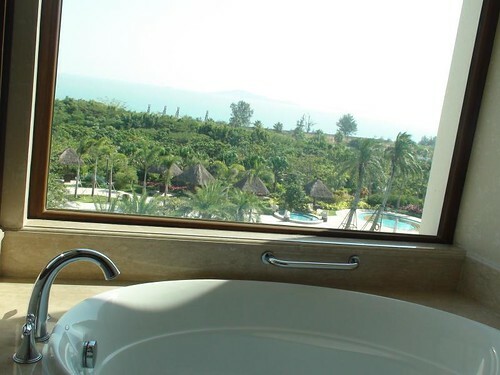 I finally sit in my nice sea view room at Seaview Hotel. The flight was delayed by 3 hours, so I was stuck in the airport for 5 hours today. When I arrived in Xiamen, it was already 9 o’clock. It was so nice to my old friend, Jan, Jon, June, Matt, Stacy, Rose, Jennifer, Biao, Reihan, and new YLFer there. Will go to bed now, and expecting the great session tomorrow. I am flying to Xiamen tomorrow to attend the YLF 2009 (Young Leader’s Forum). Very excited and cannot wait to see the great people there. I will be in Xiamen from November 4 to November 11 with the main session from November 5 to November 7, and the extension trip from November 8 to November 10. It has been few days after Wendy opened her milk tea shop. Let me share some of my thoughts for this small business. I support Wendy with all my heart, but I intentionally keep a far distance from the business. There are several reasons. First, it is Wendy’s business, not mine (well, although legally speaking, I am also an owner). I know it is her dream to own a shop, and I let her do it without interference. Second, to run a shop requires a lot of time and energy, and I have my business to take care of. Sometimes, to put a firm line and won’t over commit is a must in today’s world. It is more of a joyful journey than a serious business anyway. I want to be a helper and observer, more than a participants. If I retire one day, I may be very happy to join in, and deliver milk tea to customers. That would be very interesting (more interesting than sitting in an office). I was surprised to discover the connecting between a milk tea shop and happiness. Yes. It is just a mom-and-papa type of small shop. But when you quietly sit from a distance of the shop and see smile on people’s face, you just feel good about it. Just like Disney, milk tea is a business delivering happiness to people. Restaurant? Maybe “decent”, “elegant”, and “just nice”, or book store – “knowledge”, “empower”… for milk team, the term connected to it may be “happiness”, “romance”, and “relax”. I will be happy if someone say: That milk tea is so GOOOD! A tip for this specific shop: the standard flavor of the shop tends to be a little bit sweet, as many customers told them. So you can choose mild sweet when asked. I realized many of the staff in the shop were born after 1990 – the post-90 generation. They are doing very well – energetic, with nice communication skills. I was actually surprised. They were all recruited on Baixing.com within 4 days, and Wendy said: Good job! and I am happy to hear that. As you can imagine, the location of the shop is the key to the success of the business. Wendy was very lucky to find a shop in one of the best location in Shanghai. 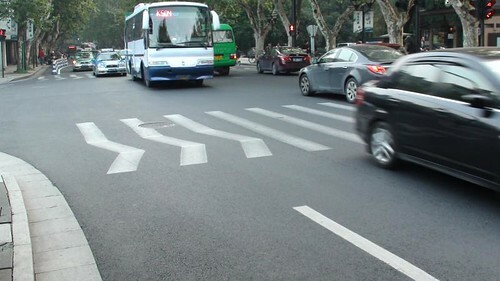 That is at the exit of the busiest Metro station (People’s Square Station), opposite to one of the landmark of the area (Raffle’s City), and besides arguably one of the busiest pedestrian in Shanghai – the one crossing Xizang Middle Road. To be short, it is at the center of the whole city. Technically speaking, it is 371 meters away from the theoretical center of Shanghai (which is the Park Hotel). If you search “Shanghai” in Google Maps, the shop is 300 meters away from the point marked as Shanghai. It is also within the same block of that point – the location of the Shanghai Municipal Government. Sitting by the shop at night, and seeing huge flow of people passing you, and see the nero of Nanjing Road, you surely know that you are feeling the pulse of the city. I love that location. P.S. Another good news. I finally got back my eBay id: jianshuo. I love a simple ID without ugly numbers attached to it, like jianshuo99, or jianshuo2009. Now jianshuo is my gmail id, hotmail id, Facebook id, twitter id, Paypal id and eBay id. It is pretty good evidence that I am an early enough adapter to most new services. My eBay id was already 7 years old.